Ultra-sleek and modern. 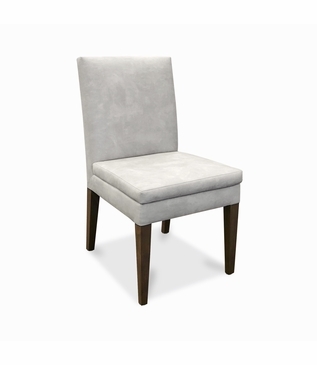 Shown upholstered in light grey suede, the Doheny Dining Chair features clean, smooth lines and slightly tapered legs. 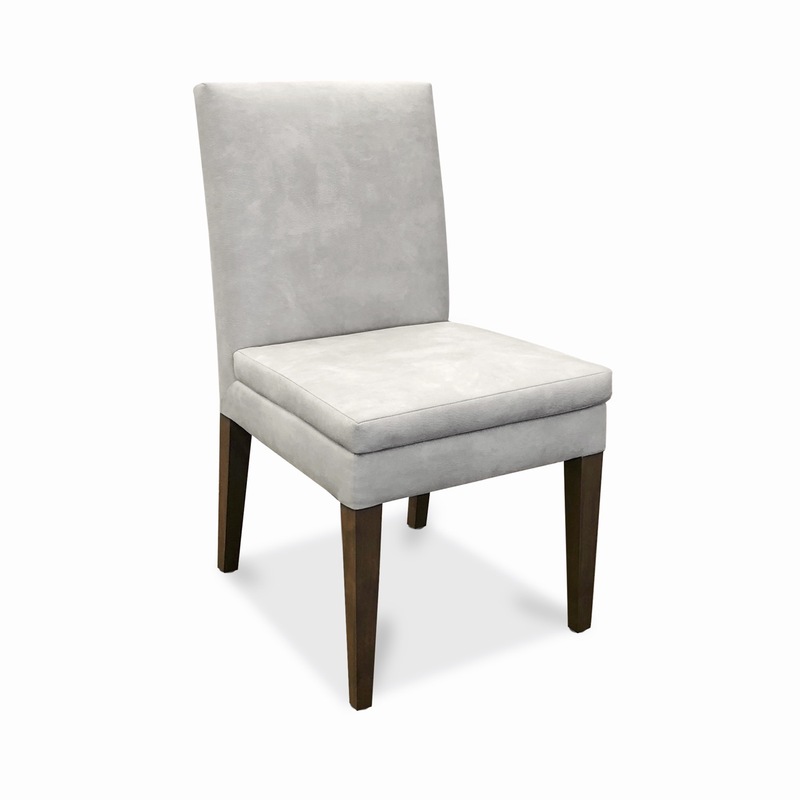 As with all pieces from our Custom Furniture Collection, this chic dining chair is made-to-order in Los Angeles and can be infinitely customized. 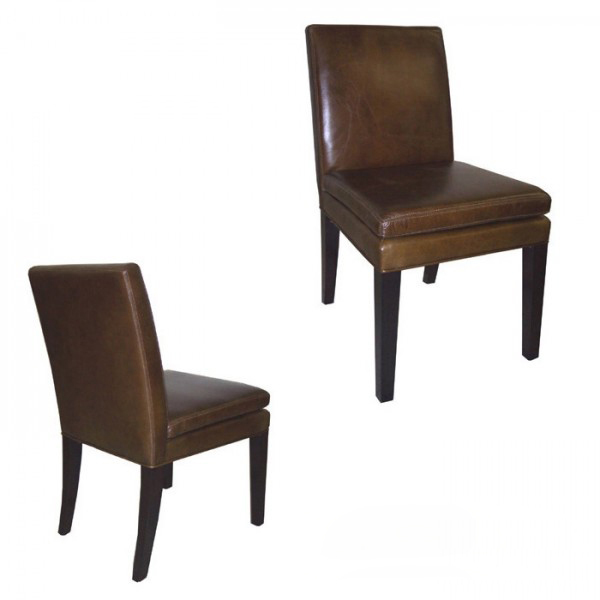 Choose your own fabric, dimensions, upholstery details, and leg finish. Also available in customer's own material (COM). For pricing, please call, e-mail, or submit an online quote request. Dimensions: W: 19" • D: 23" • H: 35"